Adjective. 1:Something exact. 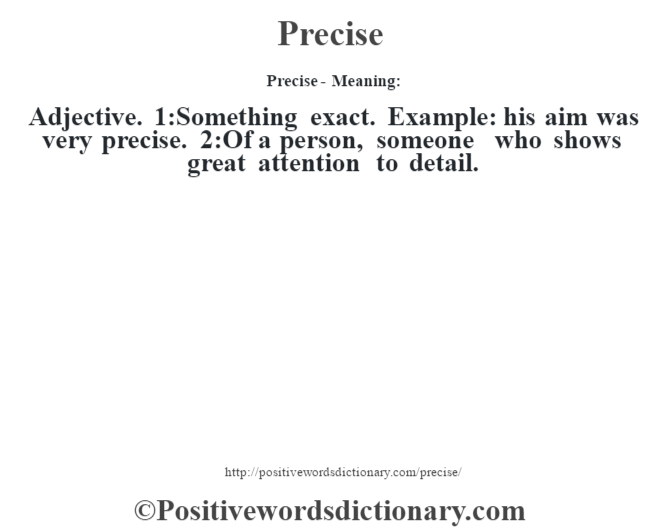 Example: his aim was very precise. 2:Of a person, someone who shows great attention to detail.